First, install the software on your computer and mobile phone from https://www.resilio.com/individuals/. Once it is created, there will be three keys, Read & Write, Read Only and Encrypted Key. such other computers you want to edit and synchronize the files or your mobile phone. Read Only: This key will give the peer that will only be able to read the unencrypted files but not write on the folder, not used in our case. 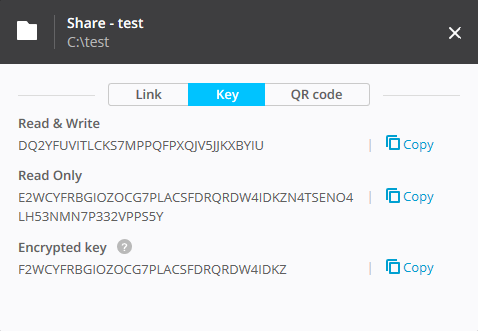 Encrypted Key: This is the key you will use on the server, the server or peer can help you share the files but cannot read (or write) any of the files. 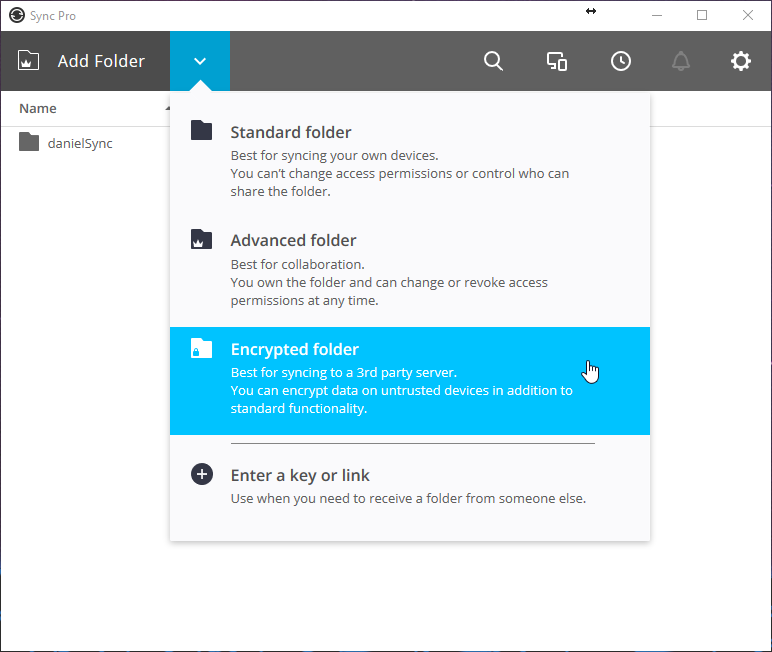 Now with the folder created, if the Read & Write key is shared with another computer or phone, the two devices will have all files synced at all times. There is one problem that needs to take in consideration, what would happen if you want to share files between your computer and your phone, but when you want to access the files from your mobile your computer is off? When you try to access files with Dropbox you don’t have this problem as the files are always online in the unsecured cloud. To fix this issue, we need to have some device that is always connected to the internet that can act as a “Dropbox server” or a relay server. The server will have its own version of Resillio installed with the Encrypted Key in it. This way your precious files are going to always be available, and even if the server gets hacked, no one will have access to the unencrypted files. My suggestion for relay server is using a company called KIMSUFI, where you can get cheap dedicated servers. Pricing starting at $7.00/month for 500GB. Another option for lower storage needs is VULTR, that offers 20GB of storage for $2.5/month. I am not going to get into detail on how to install it on the server, as there is a good tutorial at https://www.linuxbabe.com/ubuntu/install-resilio-sync-ubuntu-16-04-16-10. If you have any problems there I am happy to help! You can install Resilio on as many devices and servers as you want. The more encrypted relays you have, the faster you will be able to download them and the more reliable your infrastructure will be. 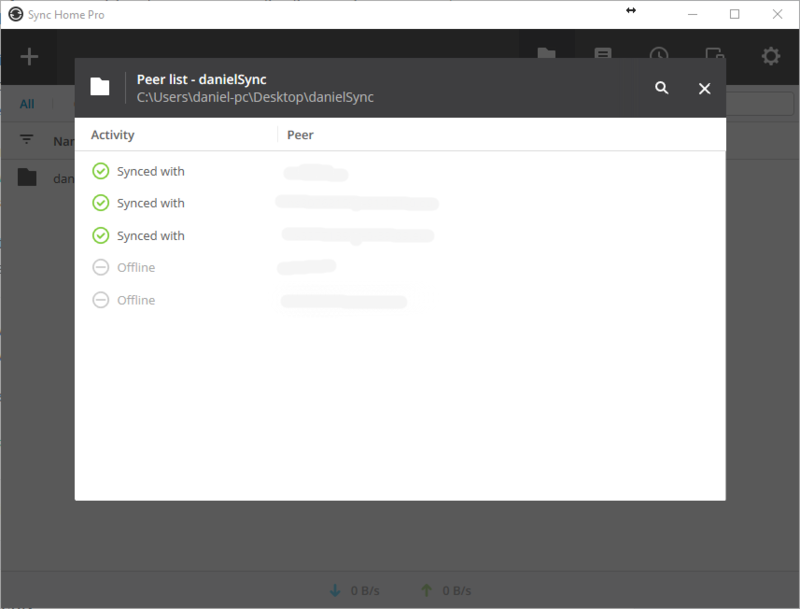 File synchronization is amazing, you can edit files on multiple computers and have everything always up to date. But if you delete a file by mistake, it will also be removed on all other devices. 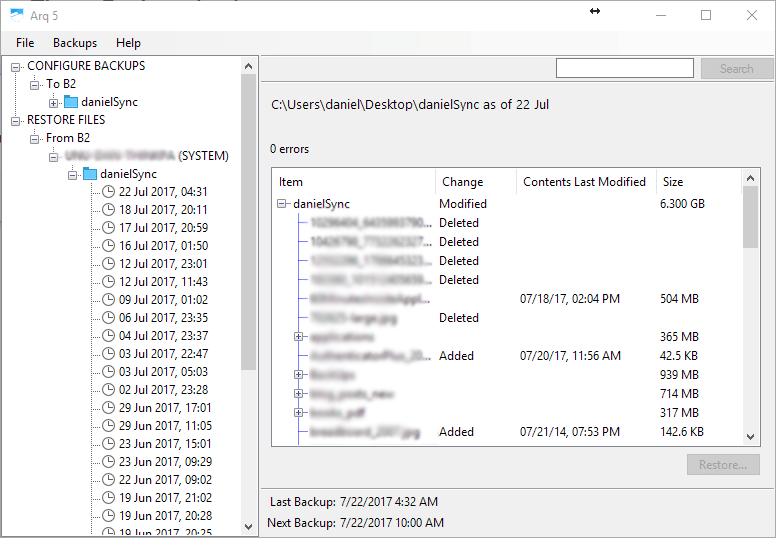 The solution to thie problem is to backup all the files from the Resilio folder to a second location with version control enabled. For that I am using two amazing products, ArqBackup to manage the backup version control and Backblaze B2 as cloud storage. 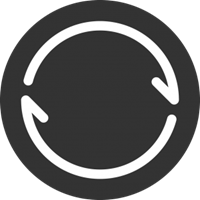 ArqBackup connects to Backblaze B2 (you can also use AWS or other storage providers) and uploads the files, keeping ALL the changes ever made to the folder. In my case, I set a budget that ArqBackup will version all the files up to 100GB of storage on B2. You can check below how it works on my system (images are self-explanatory). One last thing that I may do in the future is to share the Read & Write key to the server and install some sort of file-manager like FileRun so I can edit all the files online if needed. Thank you for sharing this. I’ll be giving it a try. May throw in a variation here and there just for fun! I am also improving things here and here whenever I find new things.